I’ve been in Varenna Italy for 3 weeks now on a wellness retreat, exploring new foods, new culture and inspiring restaurants. I’m pretty sure it’s going to take more than a few weeks to instill the centuries deep culinary expertise of this country, but I’ve made an Americanized version (i.e. quick, easy, but still delicious) of marinara sauce, without stealing any secret family recipes. It’s almost an insult to good slow cooked Italian marina, that this is so simple and still so good. Add oil, garlic and onion to a sauté pan on med heat whilst you chop the zucchini (which is Italian for zucchini, BTW) and open the can or chop the tomatoes (pomodoro in Italian)stirring occasionally, then add tomatoes and turn down heat to medium low and slow cook the sauce for 10-15 minutes. 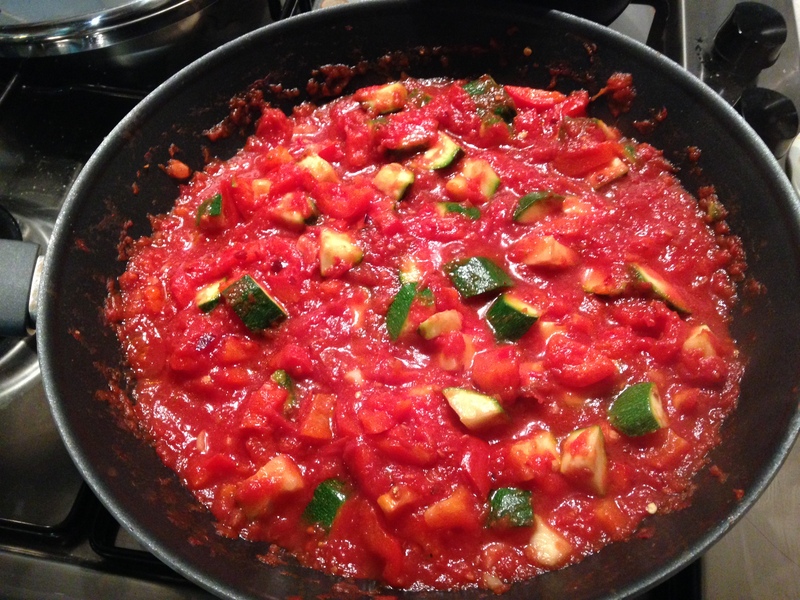 Depending on how crunchy/chunky you like your sauce, add zucchini in with tomatoes or later (crunchier) remembering, other than tomatoes, the longer you cook your veggies, the less nutritionally dense they become! serve over greens, pasta or as a dip or soup. How easy does this sound! I can do this! I know right?! I dunno if its the locally made olive oil or their canned tomatoes are better than ours or what, but it’s delizioso!